Please contact the airport for more details. 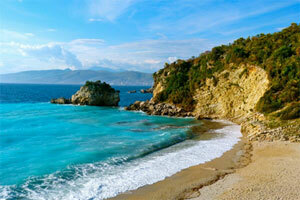 A New Mediterranean Love: Stunning, unspoilt coastline, thousands of years of history, great cuisine – warm, welcoming Albania offers great value as one of the last undiscovered places left in Europe. Over 200,000 ethnic Albanians live in New York – just a fraction of the 2.5 million-strong Albanian diaspora living worldwide, underlining the need and viability of routes to the largest hubs – New York, Amsterdam, Frankfurt etc. Excellence in service provision: Our teams are coordinated perfectly to maximize efficiency and flexibility. Short turn-around times, rapid baggage delivery, well-trained personnel, etc., are just a few of the expectations that an airline demands and which TIA offers. Competitive incentive programme: TIA’s Airline Incentive Policy is a marketing instrument that is boosting traffic development at the Airport. 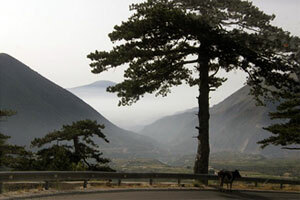 Number one Lonely Planet destination in 2011: 3 million tourists visited Albania last year, which roughly equals the country's population. 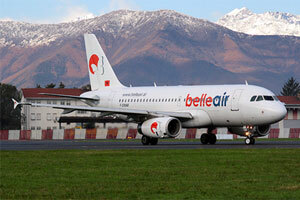 Belle Air, Albania's own airline, offers services to over 30 European destinations. 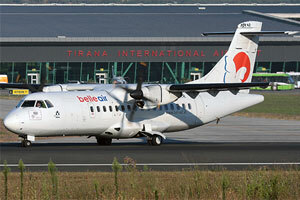 TIA has adopted a policy of incentives for airlines to launch new routes and to increase frequencies of the existing routes to and from Tirana. The strong traffic development shows that this policy is being very successful. 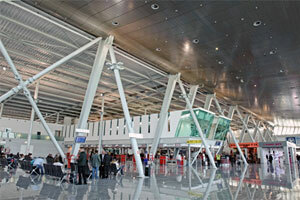 Centrally located, Tirana Airport serves Albania's 3.2 million population as the country's only international airport. 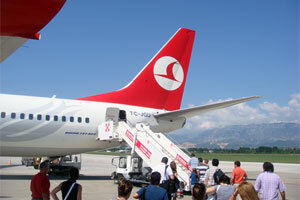 Turkish Airlines operates 10 weekly flights to its Istanbul Atatürk hub, capitalising on the missing long-haul services from Tirana. Tirana International Airport the entire country (estimated population 3.2 million). 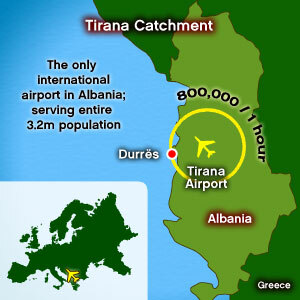 Currently there is no second international airport in Albania. 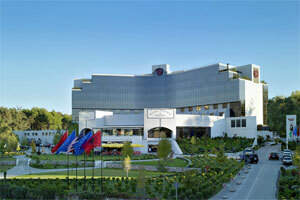 The airport is well situated in the middle of the country’s geographical position in the capital city of Albania, Tirana. 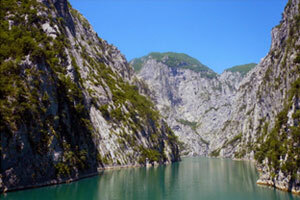 Brain gain: Albania's GDP currently stands at roughly 25% of the EU's average, but the country's economy has continued to grow, despite the global recession – backed by considerable mineral and resource wealth. 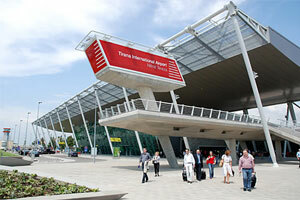 Tirana International Airport Cargo Department is the leader in Albania for Cargo Handling, sales, shipping and logistics. Following the opening of the new Cargo terminal in 2007, this department has constantly demonstrated affordability and maintained its leading position in the industry. 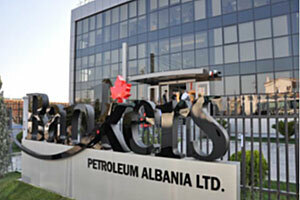 The department offers international standards and solutions to all carriers operating at Tirana. Hochtief AirPort has managed the airport since 2005, providing new passenger and cargo terminals, access roads and other amenities, essential to serve business traffic and the discernible traveller looking for sustainable tourism. 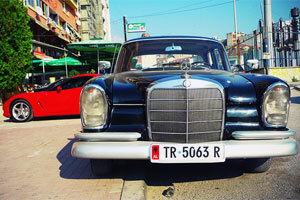 The distance from Tirana (capital city) is 17 km and the airport can be reached by much-improved road. Runways (number and length): There is one runway and the length is 2,750 meters. Slot Coordinated? 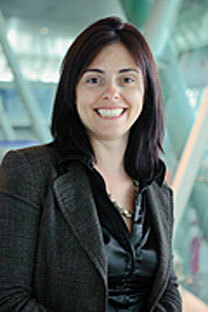 : No, the airport is not slot coordinated. 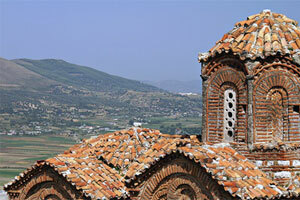 Slot allocation TIA, in cooperation with the Civil Aviation Authority of Albania, offers flexibility in slot allocation. Operating hours: The Airport offers 24-hour operations, 7 days a week. 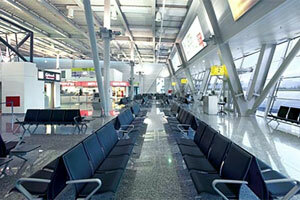 One terminal with a capacity of 1.8 million passengers – newly opened in 2007.